Keira Knightley is the third-youngest performer ever nominated for an Academy Award. She was exactly the right age to play the charming Elizabeth Bennett, who is "not yet one and twenty," in "Pride & Prejudice," the latest film adaptation of the Jane Austen novel. The daughter of actor Will Knightley and playwright Sharman Macdonald, Knightley was born in Richmond, just outside London, on March 26, 1984, and was appearing in small roles in films by the age of nine. Watch The Early Show interview and her reaction to her Golden Globes nomatination. See the Keira Knightley photo essay for more pictures. She got her start with relatively small roles such as that of the "decoy queen" Padme in 1999's "Star Wars Episode 1: The Phantom Menace" and as the bride whose wedding starts the action in 2002's "Love, Actually." 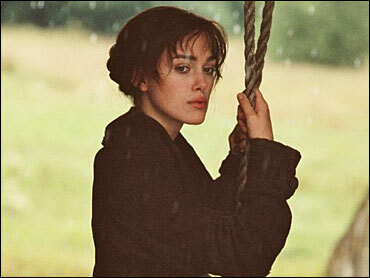 Knightley won leading lady status in 2003 with "Pirates of the Caribbean: The Curse of the Black Pear." It's a role she will repeat in two sequels. She stepped into the elegant world of "Pride & Prejudice" from a very different scene, having just played the lead role of a model-turned-bounty hunter in "Domino."